You are here: Home / Other Pets / How Pets Help With Depression- Enjoy Total Healing! Speaking about depression is something many people find hard to do. There has been a great deal of good work done over the past few decades in raising awareness of the numbers of people affected by mental health. However, many people with depression still find it hard to ask for help. Or even to tell other people that they are battling depression or depressive episodes. If you are someone who finds you can and do, talk to your pet out loud or internally it is good news – pets can help with depression! How so? Both animal and human scientists around the globe have been coming up with similar conclusions. It turns out our furry companions are true friends with many benefits to our mental and physical health. Feelings of isolation and loneliness are very common symptoms of depression. As corny as it sounds though, you’re not alone! 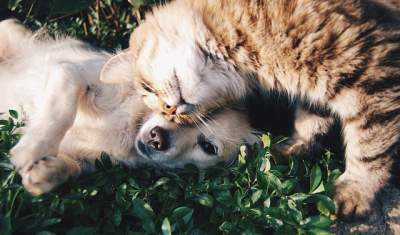 Pets can help bridge that gap of needing companionship as you move through life. Not only do they give you precious one-on-one company. A pet can also be a common ground and talking point to share with other people. Unconditional love and acceptance are important for anyone living with any type of mental illness. We need it to help with recovery and managing symptoms. Sure, there can be a degree of ‘cupboard love’ component with many pets when it comes to mealtimes. But by and large, pets love you who you are, as you are. Looks aren’t an issue, nor is the way you dress, speak, wear your hair, or choose to live your life. When you’re feeling low, having something to distract you from your thoughts is always a good strategy. When you’ve got an animal in your life, there are plenty of distractions to have a change of focus. Yes, you may have plenty of those cute, cuddly, and adorable moments. A pet will undoubtedly bring a smile to your face! But more than that, pets are a healthy distraction in terms of needing your attention to take care of their needs in life. Touch and contact with other living beings is an important part of being human. A pet not only allows you to pat, stroke and cuddle them. They may also respond with similar levels of affection. This helps with your need to touch and connect with another living being. What’s more, studies have found that stroking and petting pets do indeed help you relax and de-stress. Okay, they’re not exactly personal trainers, but no matter what type of pet you have there’s an opportunity for movement. And movement and exercise are well known to help with boosting your mood and helping to beat the blues. Walking the dog is just as good for you as it is for them. You can encourage a cat to keep their natural prey drive strong with toys you can play and interact with for fun too. Establishing and sticking with healthy daily routines can be helpful in managing depression. A sense of purpose and accomplishment can do wonders. If you share your life with a pet you will soon find that you’re achieving many tasks associated with their care – feeding, grooming, bathing, etc. Recent studies have concluded that living with pets can benefit your brain and your body. People with pets have shown lower rates of blood pressure. A lower BP is better for managing stress and preventing heart disease. Interaction with pets also does favorable things to the hormones that play a part in our moods. These include Oxytocin, which is a chemical involved in feeling bonded and connected. And cortisol, a chemical that influences both brain and other body functions. Emotional support animals, or ESAs, may be part of a treatment plan for someone living with depression, or another type of mental illness. The animal itself doesn’t receive any special training or certification to become an ESA. Emotional support animals are ‘prescribed’ by licensed mental health professionals. 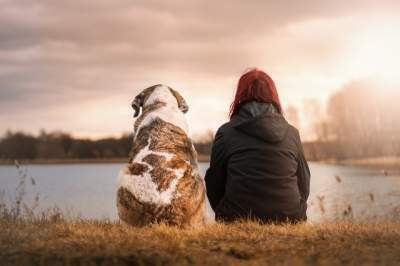 Recognition that an animal can help someone manage mental health disorders is recognized. For someone living with an emotional support animal, two laws help protect from discrimination. The provisions in the Fair Housing Act mean that landlords with no-pet policies cannot refuse you on the basis of an ESA. The Air Carrier Access Act allows people to fly with an ESA, free of charge if they need their animal on the flight with them or at their destination. Trained service animals help people with a wide range of disabilities. Mostly dogs, but sometimes miniature horses, service animals receive extensive training. They do specific tasks relating to a disability. For a physical disability, a service animal might help with mobility and retrieving hard to reach objects. A psychiatric service animal may recognize and respond to specific symptoms to alert or help their owner stay safe. Therapy animals can help with both mental and physical health. They may be shared, such as the resident cat or dog that lives with everyone in a group setting such as aged care and residential facilities. Therapy animals may also be brought into settings or sessions to help people with recovery and rehabilitation. These animals and their owners do undergo training to make sure the animal can respond and behave appropriately in public. If you don’t already have a pet in your life, weigh up what is involved in taking care with an animal before you make a decision. A pet can help teach you a lot about good decision making and commitment to responsibilities even before you bring them into your home. Find out what they need to eat and drink, and when, what shelter they need. If a pet isn’t a realistic option at this time, plan for the possibility of one at a later date. In the meantime, you may well find a library or similar setting that has a visiting therapy pet to enjoy!